Yesterday afternoon, a change in signage signaled the end of an era for the BBQ restaurant known as Smokin' Pig. Crewmen were replacing signs at Smokin' Pig this afternoon to usher in a new tenant. Out front a sign read, "We will be closing early due to remodeling." 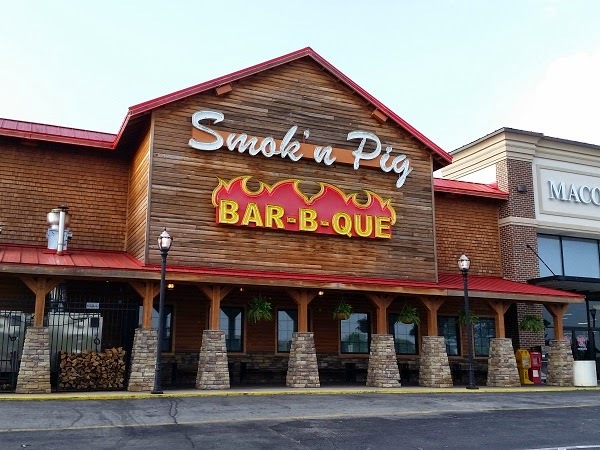 Located at the Macon Mall, Smokin' Pig BBQ restaurant has closed temporarily, taking the weekend to remodel the store before it reopens as Ole Times Country Buffet. The remodel should be completed next week and Old Times Country Buffet is projected to open Wednesday or Thursday this week.